St Fagans National Museum of History in Wales has many outside exhibits that are either original historical buildings or, in the case of the Iron Age roundhouses, replicas of ancient structures. So it might surprise you to know that one of the most fascinating buildings there, to me anyway, dates from 1948. 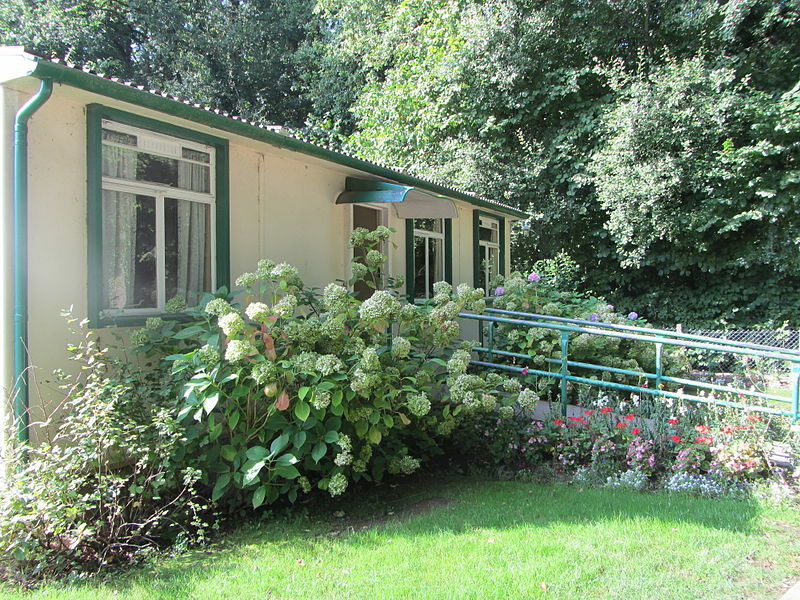 It’s the building you see in the image above – a post-war prefab. 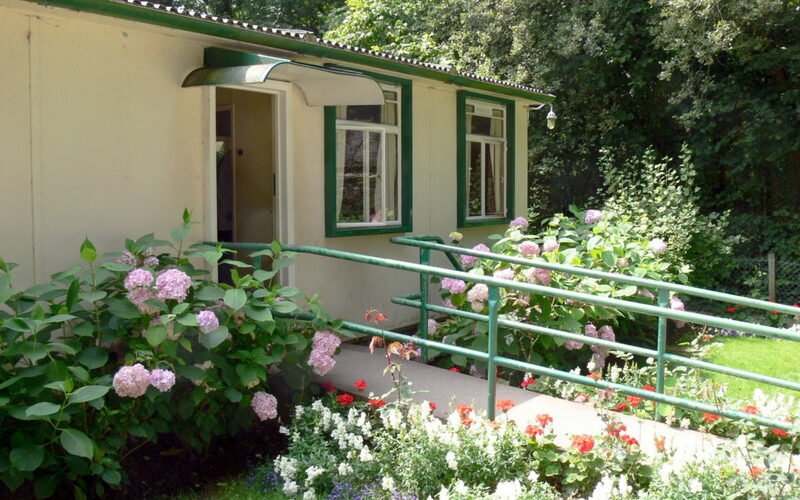 Prefabs, short for ‘prefabricated buildings’ were mass produced in the aftermath of the Second World War. In the UK, many homes had been destroyed by enemy bombs. Members of the armed forces were returning from the war to find that there were no homes for them and their families. 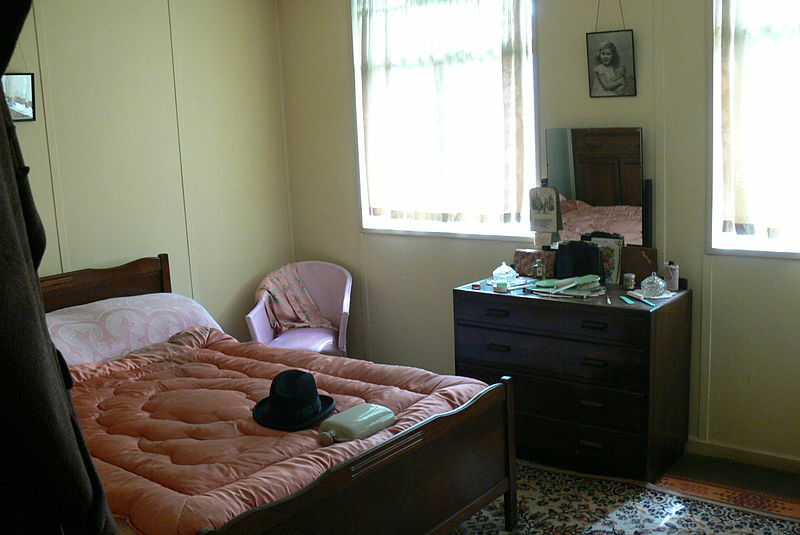 Often a family had been bombed out of their own place and the wife and children had lodged with relatives or friends until the menfolk returned from war. The lack of housing was a crisis. Prefabs were a solution to this problem. These buildings were largely pre-made and could be erected in just a few hours. 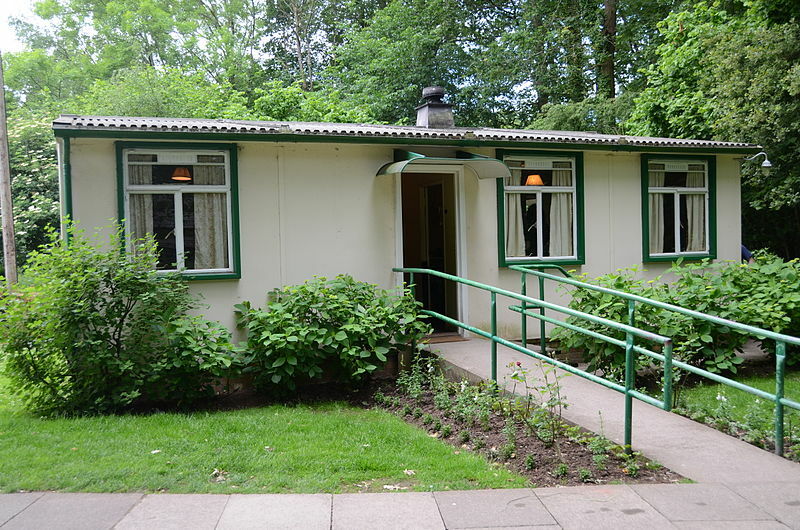 The accommodation was what we would see today as being pretty basic but in those days, the prefabs provided cosy family homes. Men who had been at war were accustomed to rough surroundings; their bombed-out families had shared cramped accommodation with relatives. Having a home of their own – with all mods cons – was paradise. Entry to the museum is completely free. If you’re taking your car – as opposed to taking a tour bus – then there’s a small fee for parking. Even dogs are permitted to visit! 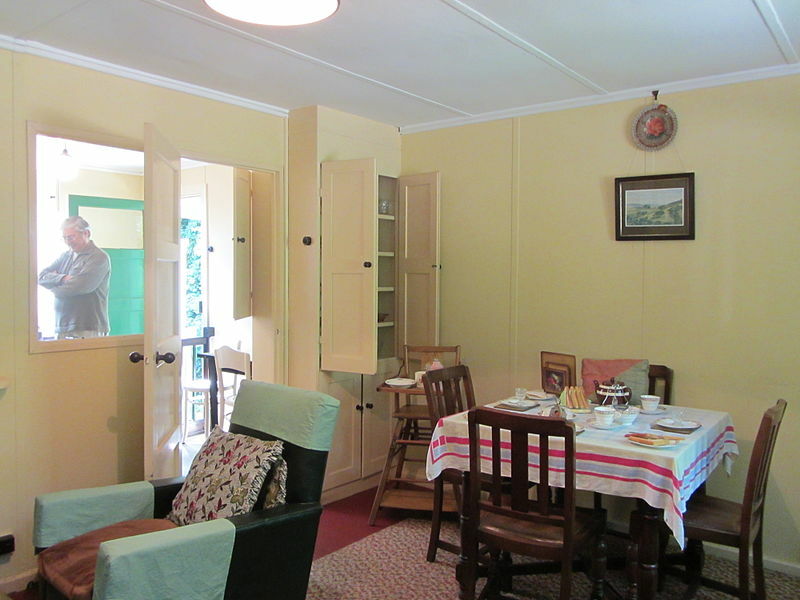 Enjoying the museum is rather like travelling back in time – the furnishings of the various buildings are authentic to the era and staff in costume take part in traditional pursuits.